This 1980's original is full of color, about 20x24 in size, and shows most of the cast from the hit sci-fi movie. 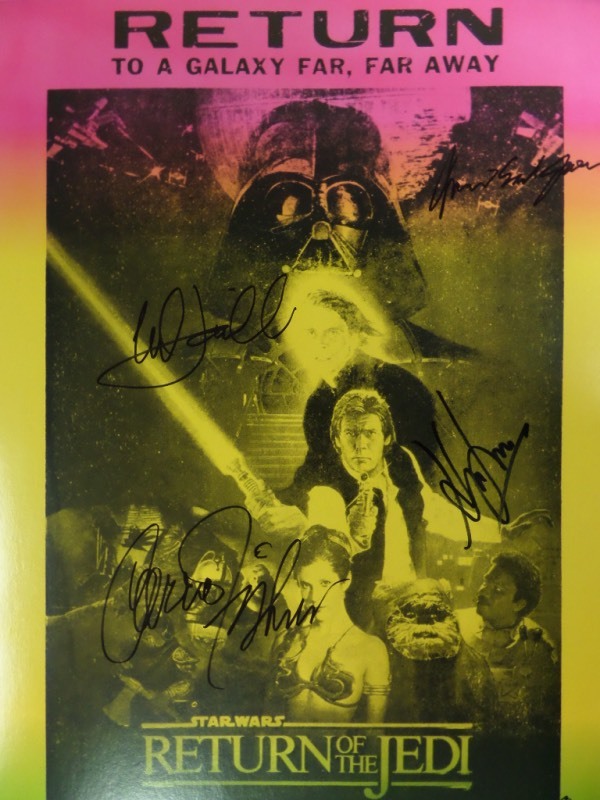 It is in EX++ condition and comes sharpie signed by some of the stars including Carrie Fisher, Mark Hamill, Bill Dee Williams, Harrison Ford & James Earl Jones! It is a must have true fans piece, with super high book value to the Star Wars collector.